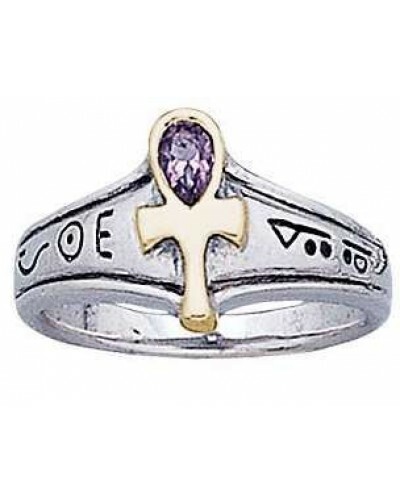 Adorned with hieroglyphics and an amethyst, this Egyptian Ankh Sterling Silver ring is accented with 18K gold plate. 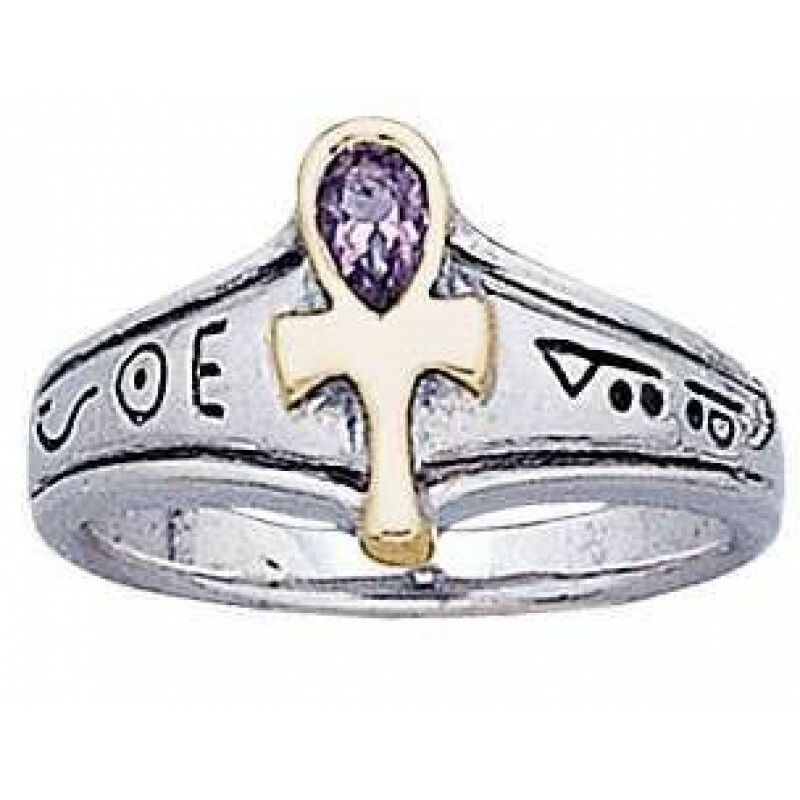 An amethyst gemstone sparkles in the center of the 18K gold plated ankh on this lovely Egyptian ring. 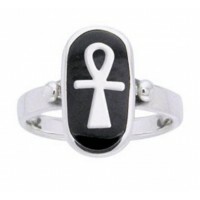 The Ankh was the symbol of eternal life reserved for the Gods in Ancient Egypt - it was said a God could grant life to anyone touched by the Ankh. 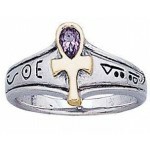 Solid .925 Sterling Silver, it is hand crafted and elegant. 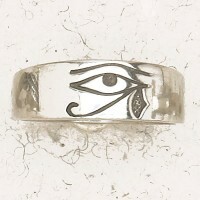 Item Number: PS-MRI562 | Approximate Size (Inches): 0.50 wide x 0.01 deep x 0.75 high | Approximate Shipping Weight: 0.25 lbs.